Description: Silicone Air Blower created specifically for eyelash extensions specialists to d.. Description: Essential tool for eyelash extension Use for separation of fluctuation.. Description: Disposable, superior-quality, durable and excellent for use Clear ink .. Description: Length: 7 ~ 15mm Thickness: 0.10mm Conveniently have all lengths.. Description: It prior to eyelash extension application to remove any traces of oil or dust fr.. Description: This remover dissolves eyelash extension glue for fast, effective eyelash ex.. 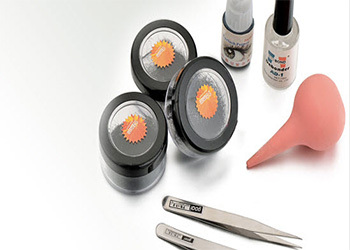 Description: For separating the upper and lower eyelashes eye stickers. It able to.. Description: Curve design, adhesive material, easy to use and easy to operate grafting ey.. Description: Handmade and Individual lashes. Single faux mink lashes is full & dense,soft.. Description: Mixed eyelash length Length:7mm,8mm, 9mm, 10mm, 11mm, 12mm Thick.. Description: Mixed eyelash length Length: 2rolls X 7mm, 3rolls X 9mm, 3rolls X 11mm.. Description: Handmade and silk material.Ultra-soft thin eyelashes extension, fast dense, natu..